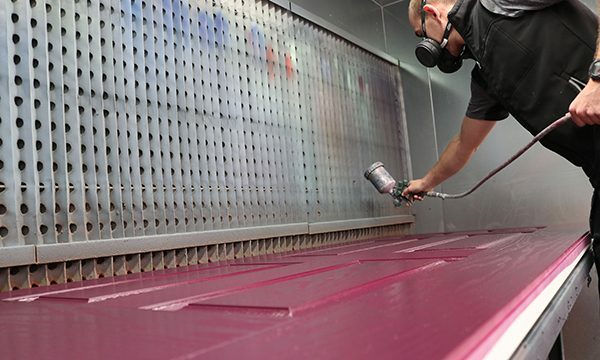 Sliders UK has launched a new in-house spray painting facility, increasing flexibility of finish and shortening lead times on special order composite door colours. Now fully operational, the new purpose built facility, gives Sliders UK the flexibility offer composite doors in any RAL colour. These are sprayed in high performance and environmentally friendly, solvent-free water-based paints and come with a full 10-year guarantee. Steve Mines, Sales Director, Sliders UK, said that bringing painting in-house gave it control of the complete manufacturing process. He said: “If you’re sending work outside you’re reliant on your suppliers and where your job sits in the queue. 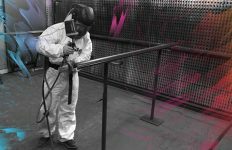 “In bringing spray painting in-house we gain far greater control, reduce transit and can offer greatly improved lead times to our customers. Sliders UK launched its new PAS24 and Part Q approved ‘intelligent timber’ Ultimate Composite Door early this year. Among the UK’s most secure doors, its manufactured using a new leaf which features 15mm thick LVL timber inserts. 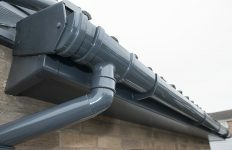 Intelligently encased inside a foam core and durable GRP skin, these provide additional core strength without impacting on thermal efficiency. This combination means that it not only achieves U-values of as low as 1.0Wm2.K, but has also been independently tested to PAS24:2016 – including cut-through testing. Security is further enhanced through Capstone’s patented three stage glazing cassette system, which supports easy replacement of glass but maximizes security. The use of timber inserts means that the Ultimate Composite Door is also supplied with an industry leading maximum bowing tolerance of just 3mm. 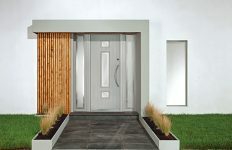 It’s also available with a choice of Eurocell or Duraflex framing options which are available as standard in white and woodgrain foils but can also be colour-matched to the door. 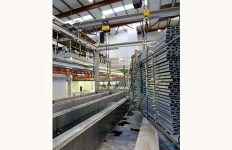 The investment made by Sliders UK in its new painting facility follows the 10,000 sq ft extension of its factory, which was completed at the end of 2016. Sliders UK is also in the process of building a new powder coating facility, which is scheduled for completion at the beginning of the autumn. For more information contact sales@sliders-uk.com or visit the website at www.sliders-uk.com.